$5 for attendees of Jazz at Studio Z at 7 p.m.
Solo percussionist Scotty Horey has gained a reputation around the Twin Cities, nationally, and internationally as a versatile, passionate, and energetic percussionist and teacher. Scotty has performed his unique solo percussion concerts as a featured artist all around the USA, Costa Rica, Brazil, Argentina, and will be conducting a return tour of South America in June. His music, which includes repertoire pieces and original compositions, mixes the aesthetics of classical music, contemporary classical, jazz/fusion, progressive rock, and even a little bit of new age. Signs of New Vitality is a collection of pieces that celebrate the uplifting energy of travel, and remind us that we are invigorated with being present on the earth we walk upon and the collective spirit of all living things. Visit scottyhorey.com for more information. 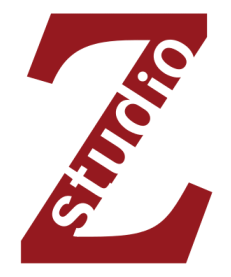 **Arrive early to catch Jazz at Studio Z at 7 p.m. and receive half price tickets! Jazz at Studio Z attendees get in to Signs of New Vitality for $5.